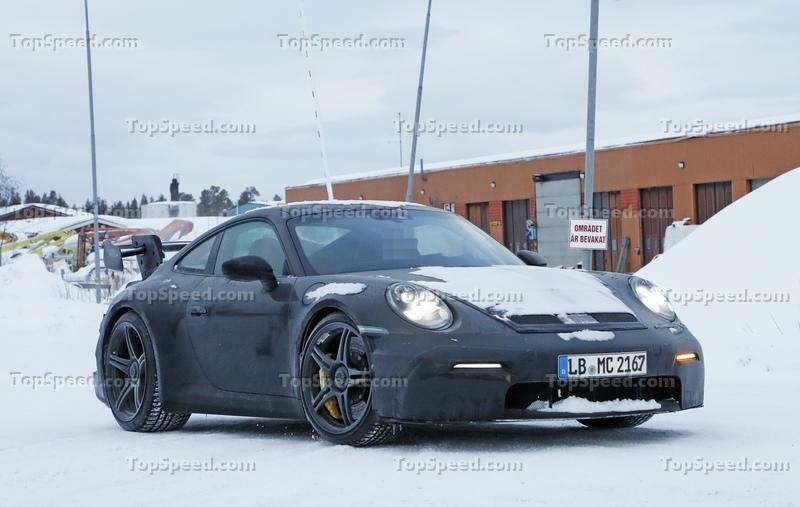 See the New 2020 Porsche 911 992 In Action Before it Debuts! 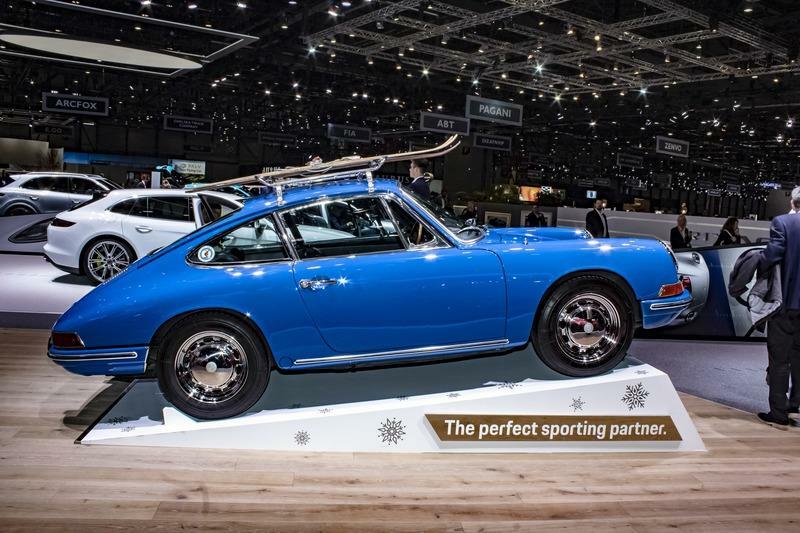 The Porsche 911 doesn’t need any presentation. You all know how it came to be and how it became the consummate sports car, the all-around best grand tourer in the world. But, for the sake of fairness and equality, I’ll go through the story one more time, focusing on the 1965 model year. 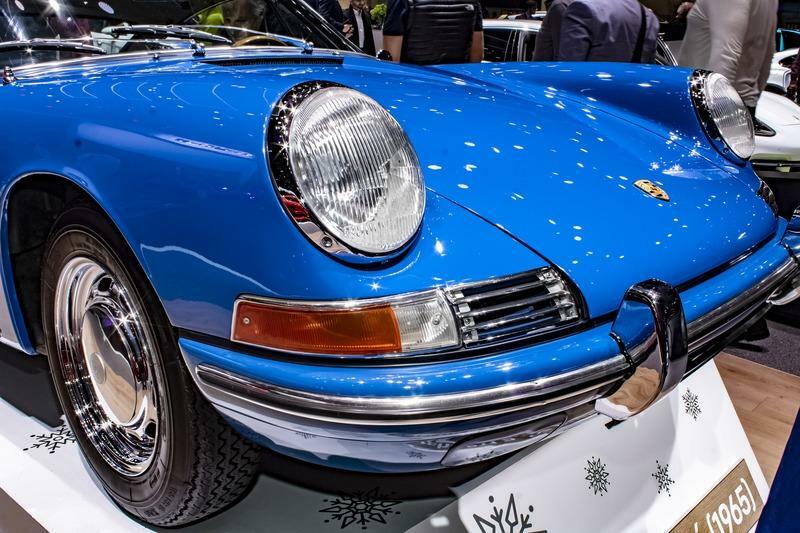 The 911 was designed from end to end by Ferry Porsche's eldest son and Ferdinand Porsche's grandson, Ferdinand 'Butzi' Porsche who started out in the late '50s to draw up potential cars that could up Porsche's game. What was needed was a bigger grand tourer and, for what it’s worth, a more modern one. 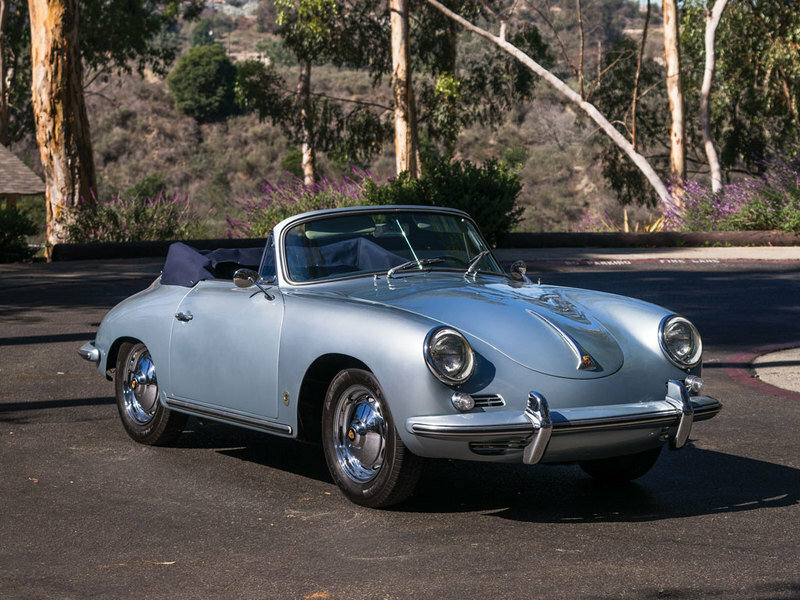 In spite of its countless updates, the 356C of the early ’60s was based on an antiquated design that dated back to 1948. Ferdinand Porsche himself created his car drawing some inspiration from the Volkswagen Beetle and, although there wasn’t much to tie the two together by 1960, Porsche felt it needed to keep up with the times. For the record, in 1960, Ferrari introduced the glorious 250 GT SWB while still making the large 250 GT 2+2, one of Enzo’s favorite cars. Aston Martin also introduced the gorgeous DB4 in 1959 and Maserati was busy building the 3500 GT and the more luxurious 5000 GT. That’s why ’Butzi’ Porsche didn’t go on an evolutionary path when sketching the 911, instead choosing to come up with something all-new while still resembling with Porsches of old. The result had a 4.3-inch longer wheelbase than the 356C and the 356 Carrera 2 GT and it was also wider and longer. This meant the cabin was larger, offering more legroom and headroom although you can argue that seating in the back was by no means comfortable in the early 911s either. I could say that even modern 911s don’t have enough room in the back to fit an adult but this is a different discussion altogether. When unveiled at the Frankfurt Auto Show, Porsche showed it right next to the (also new) Porsche 356 Carrera 2. That’s why Porsche insisted the 901, as it was originally known internally, was not the 356’s replacement. In fact, it took almost a full 12 months before the production of the new Porsche actually kicked-off because the German automaker rushed to unveil a hurriedly put-together prototype at Frankfurt that wasn’t production-ready at all. But, when it was finally ready, the waiting list was so long that the first six months worth of production was sold out right away. The first model year of the 911 was, actually, 1965 although there are quite a few pre-production 901s out there. When cars did start leaving Zuffenhausen, they bore the name ’911’ because Peugeot had quarreled with Porsche over the digit-0-digit designation of the prototype shown at Frankfurt, the French lawyers pointing out that Peugeot owns the rights for all model designations made up of three digits with a 0 in the middle. As such, Porsche went for 911. The name wasn’t devoided of meaning. For starters, the original name reflected the fact that it was the 901st design project to leave the Porsche works since Ferdinand Porsche established his design and consultancy firm in 1931 and Porsche just added 10 to the number. It also aimed to underline that it was an improved version of the 901 prototype. By 1965, the Porsche 911 finally received the full attention of the company with the 356 lineup getting axed that year. This was vital for Porsche as the factory was too small to make many variants of both the 911 and the 356. 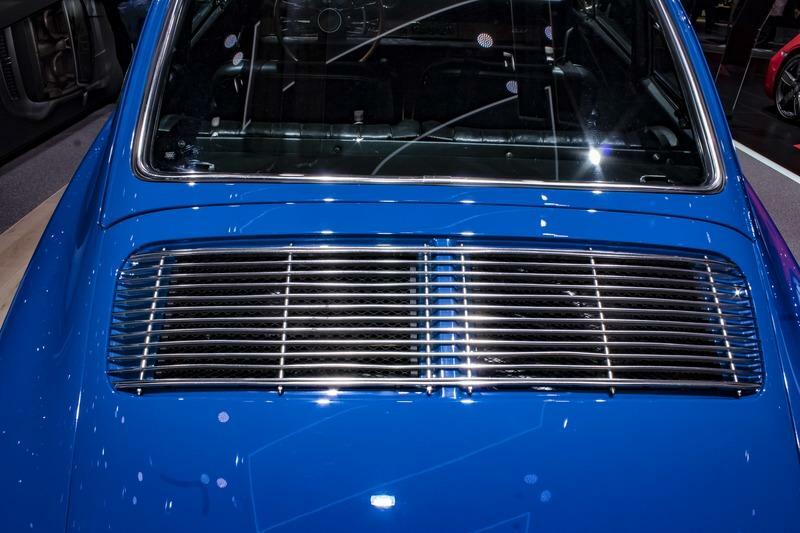 With the production of the 356 coming to an end, Porsche duly released two new versions of the 911: the 912 and the 911 Targa with its famous polished roll hoop aft of the doors. General Motors incorporated the idea in the Corvette C3 that debuted in 1968. The 912, meanwhile, was a cheaper version of the 911 powered by the 356’s four-pot against the 911’s six-cylinder boxer. The design of the 911 was the result of necessity. For starters, Porsche looked into the possibility of making the 911 a mid-engined car. After all, Ferdinand Porsche was accustomed to this architecture having been the first to adopt it on Grand Prix cars in the ’30s during his tenure at Auto-Union. However, putting the engine in the middle drastically reduced interior space if the car was to remain as big as planned. The slightly long front overhangs are this way also as a result of putting practicality first. ’Butzi’ Porsche wanted future 911 owners who were also golf aficionados to be able to fit a golf bag inside the front luggage compartment. As much a departure as the 911 was from the 356 stylistically speaking, not everyone thought of it as being revolutionary. Road & Track’s John Bond was quick to argue that "the big difference [between the 356 and the 911] is the elimination of the broad-beam hip effect that results in a trimmer, narrower look," while adding that the car looked more similar to the 356 when seen right next to a 356 - with a lot more glassed surface. 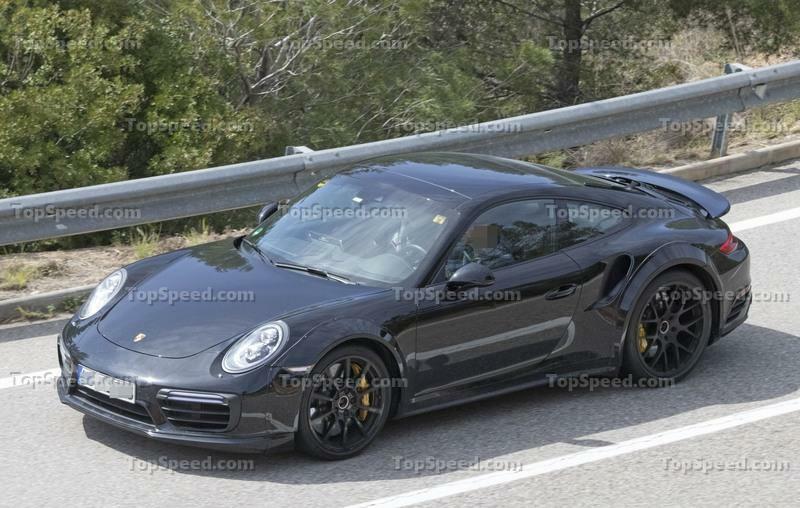 In the front, you’ve got the tall fenders, a distinctive Porsche feature that ’Butzi’ wanted to keep, that seem to perch higher than they actually do (they are in line with the doors after all) due to the downward pointing hood that goes all the way down to meet the protruding front bumper. The light blue example seen at the 2019 Geneva Auto Show features chromed bumper over-riders over the thin chromed strip added to the body-painted bumper. The chromed bit features rubber bands on top at both ends of the vehicle. Just above the bumper on either side, guarding the hood, are the indicators that wrap around the car’s corners and two rectangular air inlets with two strakes across each one of them. The hood sports the typical wide vent for cabin ventilation. 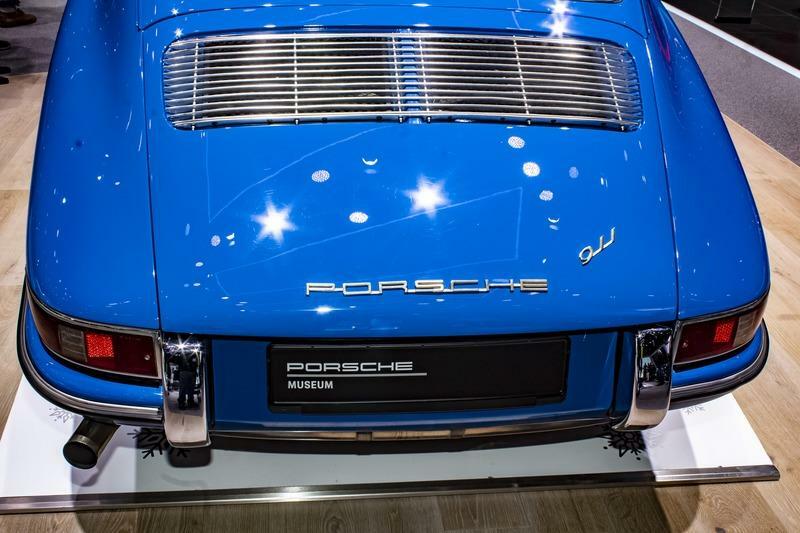 Viewed from the side, the 1965 911 looks as familiar as your brother: the straight line of the fenders that is continued by the line of the doors and that of the ovoid rear-quarter side windows, before sloping down as the fastback tail dictates. The 2.0-liter example seen at the Swiss Show features a slim chromed bar across the rocker panel, chromed exterior rear-view mirrors, and door handles. 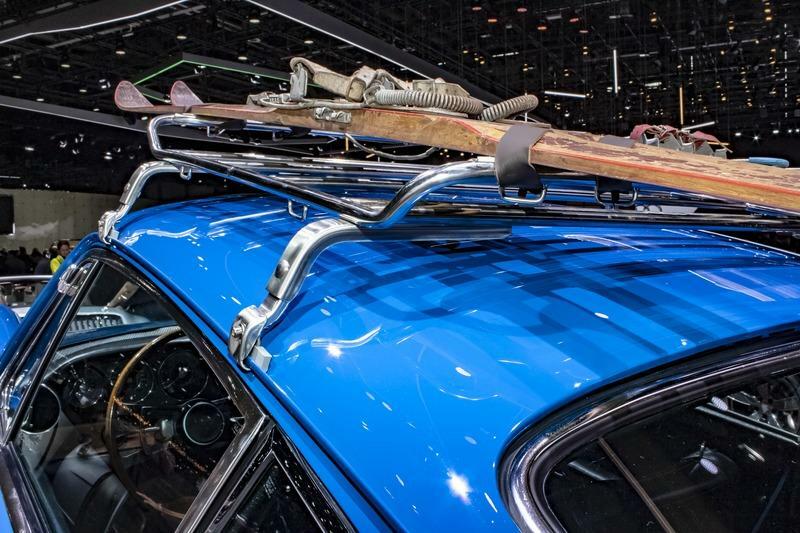 However, the funkiest detail is the roof rack adorned with what seem to be period-correct wooden skis. 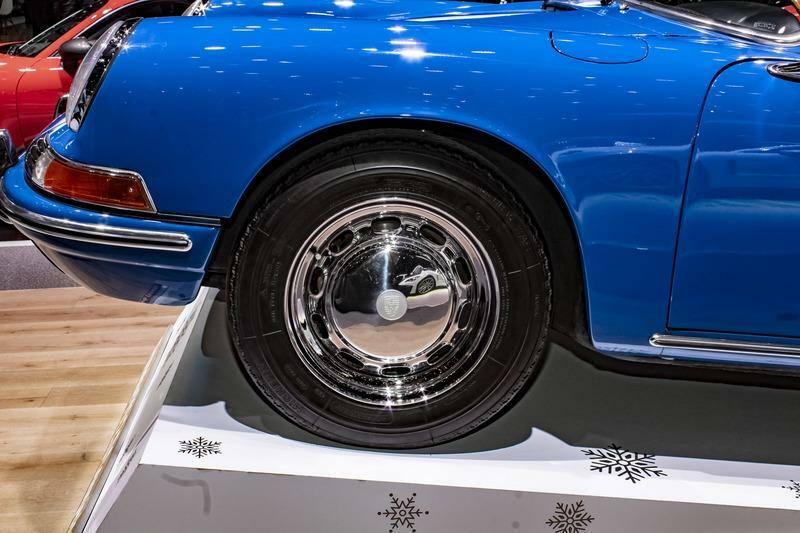 The wheels are typical of early 911s in the sense that they are almost identical to what was fitted to late-model 356 examples, namely chromed hubcaps with 10 holes in between those tiny, broad spokes. The chromed rear bumper add-on starts immediately after the rear wheel wells and goes around the back corners of the car before being interrupted by sizeable chromed overriders that extend as far up as the upper edge of the taillights, just below the engine cover. In between the over-riders there’s a caved-in area for the number plate. The hood features two rectangular air vents with polished cheese graters on top. The Porsche name is spelled out with inter-connected letters towards the bottom end of the hood and the 911 logo is placed to the right, at an angle. The exhaust pipe sticks right out on the left-hand side. What’s interesting, besides the design - which has been the subject of many books and articles - is that this particular 911 from 1965 came to Geneva right from the Porsche Museum vault and, judging by stickers in the rear quarter windows and the big bumper over-riders, this was probably an example that was sold in the U.S. originally. 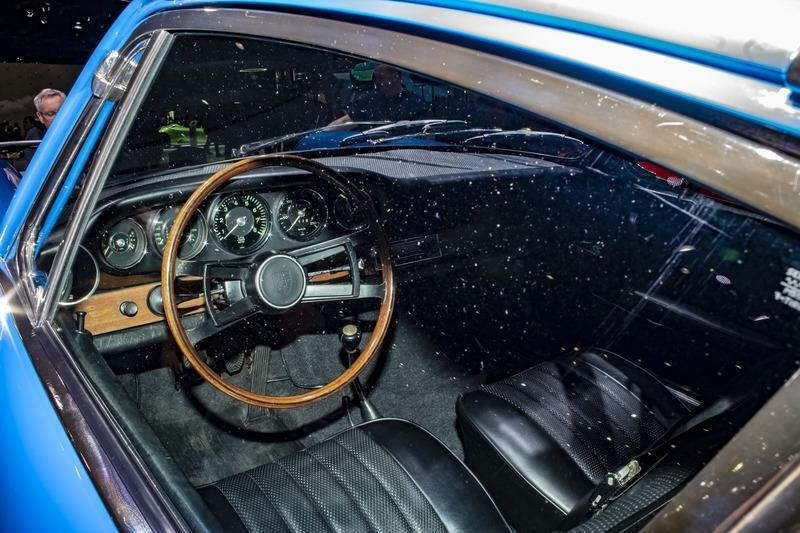 The interior of the 911 was designed to be quite the leap in comparison to what the 356 had to offer. Once seated in the driver’s bucket seat, you’re facing a redesigned steering wheel with four spokes, attached to the sides of the central hub with an added half-ring on top. The steering wheel, with its wooden rim, sat in front of an elliptical gauge housing that featured five circular dials. In the middle there was the tachometer, which was also the biggest of the lot. The odometer was to its right while dials for fuel as well as oil levels and oil pressure and temperature were placed on the left. Below the gauges, there was a strip of teak that traversed across the dashboard. The top part of the dash incorporated a molded crash pad that protrudes forward towards the car’s occupants. Along the dashboard’s center panel you’d find a number of knobs and buttons as well as the radio in the middle. Early 911s didn’t have a center console so the stick shifter came right out of the floor from the transmission tunnel. the stick itself is long and seems flimsy and ends with a rounded knob with the Porsche logo on top. The seats feature "stepless" backrest recliner adjustment and, in the back, there was only theoretical room for two tall adults. In real life, you’d have a hard time to get in the back of an early 911 no matter your size due to the curvature of the roofline. 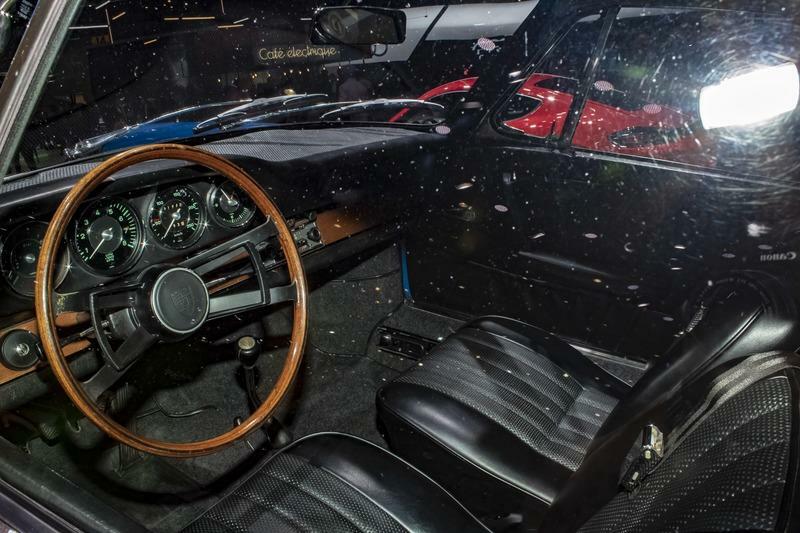 In the end, though, the 911s interior was unapologetically functional, devoided of the luxurious Italian leathers found in a Ferrari or a Maserati but far more user-friendly and sturdy. Denis Jenkinson noted that the 911, due to all of the improvements and the increased build quality (after Porsche purchased Reutter’s and also contracted Karmann to build some of the cars) made it feel somewhat devoided of character at low speeds. However, the car came alive when you started pushing it towards its limits. 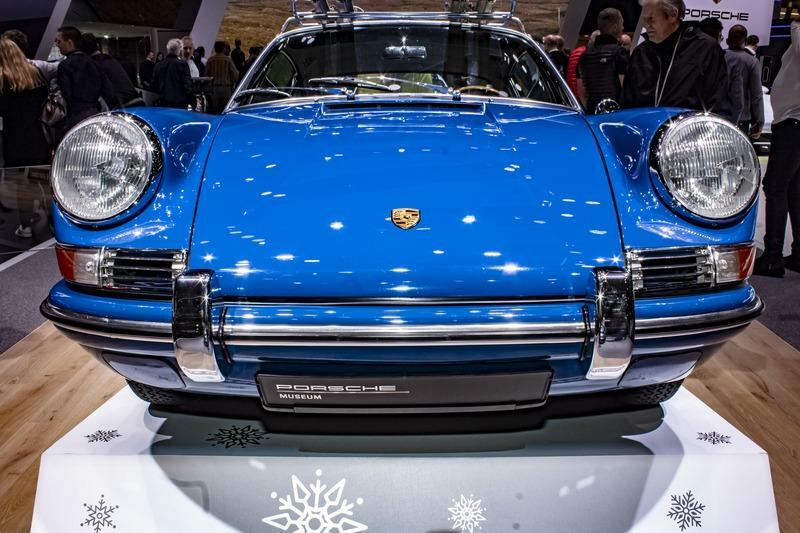 Porsche didn’t reinvent the wheel from a mechanical standpoint when it designed the 911. 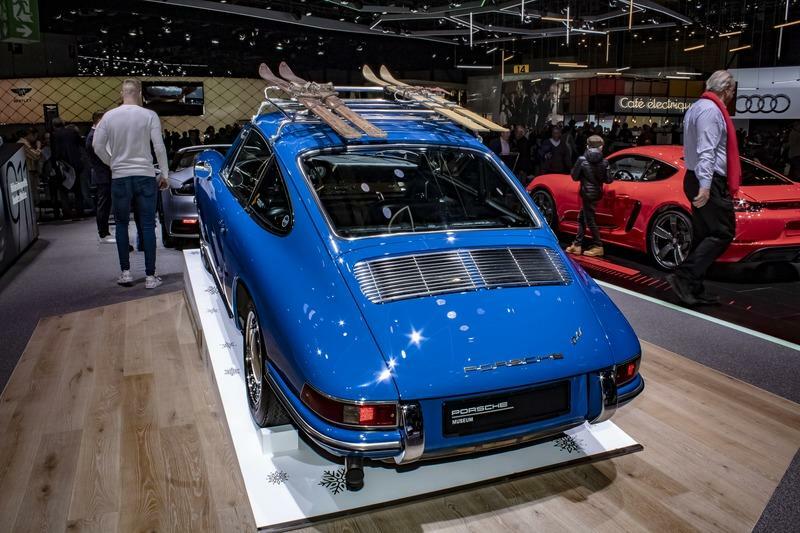 On the contrary, the Germans went mostly with a tried and tested approach although some bits and pieces seen on the 911 were featured for the first time on a Porsche, one example being the MacPherson struts in the front. The reasoning behind the lack of out-and-out innovation is simple: Porsche wanted to have a reliable grand tourer to offer to its clients in a world of more expensive and more unreliable cars like those coming out of Italy or the U.K. The engine was a new design by Ferdinand Piech and Hans Tomala and featured a single overhead camshaft. 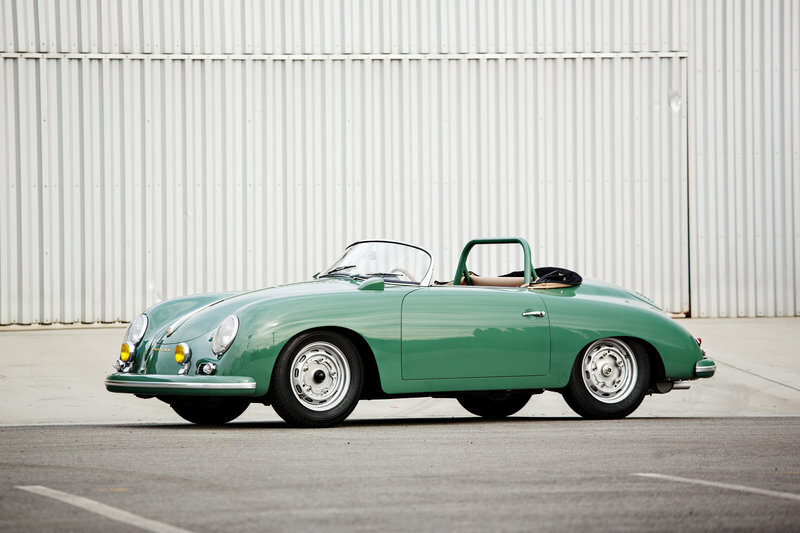 There were six cylinders to the 356’s four (that unit was also a push-rod) and they displaced 2.0-liters. "We decided on a 2.0-liter six-cylinder engine because sixes are more comfortable and refined," Ferry Porsche, the leader of the project, said in 1984. The engine was fed via twin triple-choke Solex 40 PI carburetors and achieved 130 horsepower at 6,100 rpm and 140 pound-feet of torque at 4,200 rpm with a 9:1:1 compression ratio. This was a big improvement over the 1.6-liter four-pot in a ’63 Porsche 356SC which put out barely 95 horsepower at 5800 rpm and 91 pound-feet of torque at 4,200 rpm. At the time, Car & Driver challenged Porsche’s ad campaign which said that the 911 was Porsche’s best car. In the magazine, it was argued that "Porsche could have put the storied flat-eight engine into production, bored out to, say, 2.5 liters and tuned up to 240 horsepower. That would have put the 901/911 into the Ferrari-Corvette-Jaguar performance bracket." With this being said, the author does make the point that Porsche didn’t want to battle with Aston Martin or Ferrari with the 911, nor in terms of price, nor performance. Indeed, while a ’65 911 with the 2.0-liter mill could reach 60 mph in nine seconds and go on to a top speed of 134 mph, an Aston Martin DB4 GT equipped with the 3.8-liter DOHC straight-six engine that delivered 302 horsepower, enabled the DB4 GT to reach 0-60 mph in 6.1 seconds and a top speed of about 153 mph. This, though, was the output achieved towards the end of production, just before the DB5 was introduced. At first, in 1959, the slightly smaller 3.7-liter straight-six was good enough for only 240 horsepower. 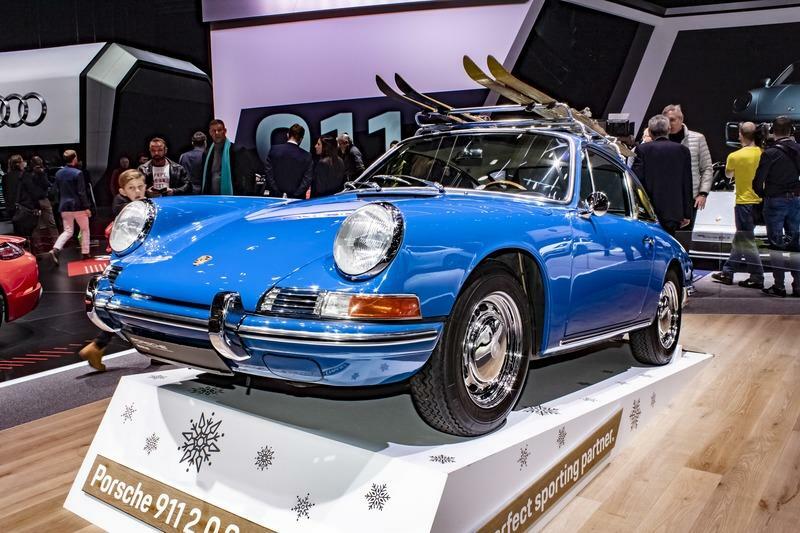 Still, Porsche’s new 2.0-liter was the foundation for many, many great things to come and, appropriately, received the designation 901/1 - the first of a new breed. It sported a forged-steel crankshaft with eight main bearings while countershaft mounted beneath carried impulses to double chain sprockets at the crank’s rear end, each sprocket driving a camshaft. Two oil pumps (and an oil cooler) were servicing the engine, one for circulating oil between the dry sump and a reservoir and the second for maintaining oil pressure stable. Besides that, the 901/1 engine benefitted from forged aluminum pistons and forged steel con rods with the cylinders being made out of an aluminum-silicon alloy (to aid lubrication) and the crankcase out of cast aluminum. The chassis was traditional in design with the engine supported by the transaxle at one end and by engine mounts at the other. The transaxle was derived from the one used in the mid-engined 904 GTS (Carrera 4). It featured five forward gears with the fifth one being overdrive and it was all-synchromesh. it worked in conjunction with a Fichtel & Sachs single dry-plate clutch. The suspension was by MacPherson struts on single transverse A-arms connecting to longitudinal torsion bars in the front, The torsion bars were the only carry-over component from the 356’s suspension setup. In the back, you had transverse torsion bars and semi-trailing arms in place of the old swing axles. ZF provided the rack-and-pinion steering system that replaced the old-fashioned worm-and-roller setup on the 356 that was of Volkswagen origin. Denis Jenkinson came to the conclusion that "[the 911 is] the best car Porsche have yet built for normal road use [and] one of the best cars I have ever driven." Road & Track also appreciated the early 911 calling it "neutral in its behavior and perfectly controllable throughout the whole speed range and even on atrocious road surfaces." If only Jenks and the rest of the establishment would have known back in 1965 how much more Porsche is able to extract from this design. Even without any evolution (yet) in sight, Car & Driver concluded: "[the 911] is worth the price of all the old Porsches put together." The 911 seemed to have everything going for it. It was more modern in its appearance than the 356, more user-friendly, roomier, could carry more cargo, its engine was friendly, reliable, elastic, and its gearbox could handle city traffic better. What is more, it was also $1,000 cheaper than the Carrera with a base price of about $6,500 in 1965. 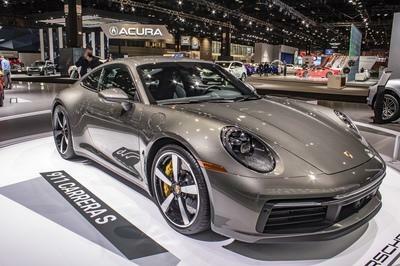 Adjusted for inflation, that’s $52,340 in today’s money - quite a long way from the $91,100 MSRP of a bare 2019 911 (992) Carrera. The 911 was a cheap car in its day not only in comparison to the 356 Carrera but also to other grand tourers. For instance, an Aston Martin DB4 GT would set you back about $9,000 whilst a Mercedes-Benz 300 SL cost some $8,000 at the time. A Ferrari 330 GT was trading for about $13,000. In fact, the only comparable grand tourer at the time was the Jaguar E-Type which sold for little over $6,000 at the time. Nowadays, as you’d expect, early 911s are highly collectible so they fetch hefty sums at auction. Hagerty puts the average value of a standard 2.0-liter 911 from 1965 at $145,000 but more sought-after versions, like this one with a rare ’300’ chassis number, exchange owners for well over $300,000. The Malcolm Sayer-penned E-Type is an excruciatingly beautiful car in the eyes of most people. 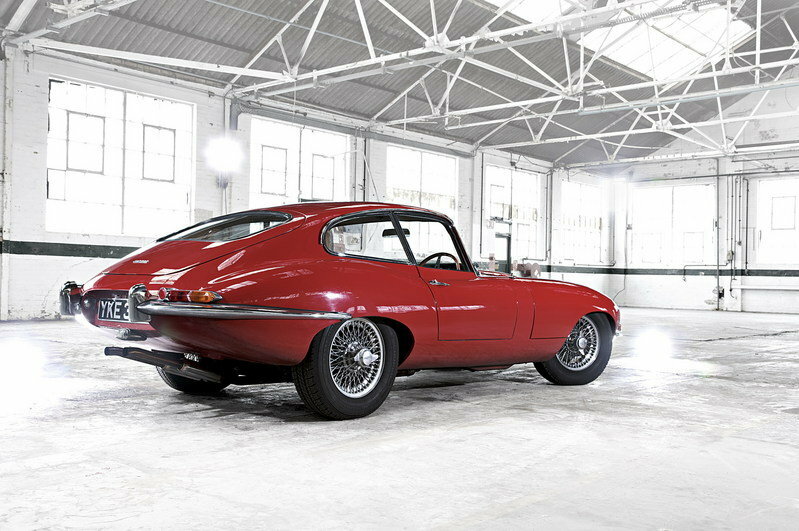 Whether or not you’re one of them, you can’t deny that it left an indelible mark on the automotive world and Jaguar has never matched the kind of buzz it created when the E-Type was unveiled in March of 1961. 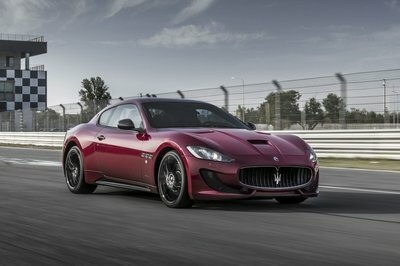 It features a long and luscious hood, big enough to conceal the inline-six XK-series engine that initially boasted a capacity of 3.8-liters. However, by 1965, the engine had grown to 4.2-liters but the power did not. 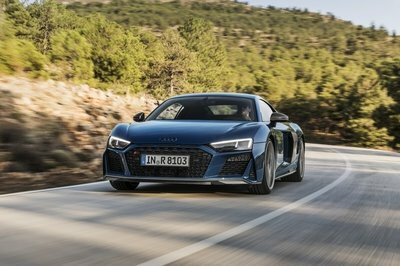 It remained put at 265 horsepower although torque went up from 240 pound-feet to 283, more than double what the Porsche had to offer. 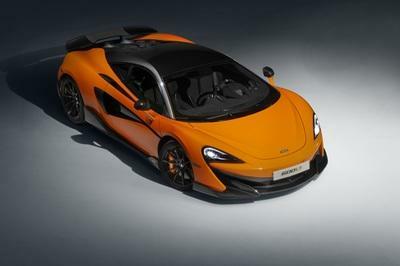 The top speed remained around the 150 mph mark although Autocar reached 153 mph while testing one in period. The journalists managed to get the big cat from naught to 60 mph in just 7.6 seconds, 1.4 seconds below the 911’s time and the quarter-mile from a standing start was completed in 15.1 seconds. 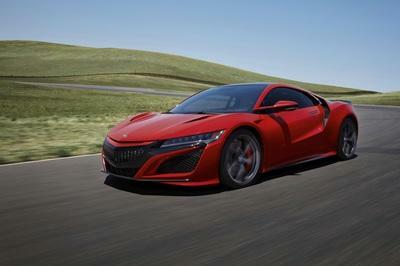 The Motor managed to go even quicker, blitzing from 0 to 60 mph in seven seconds flat and dashing across the quarter-mile in 14.9 seconds and the magazine concluded that "3,000 miles of testing confirms that this is still one of the worlds outstanding cars." Indeed, the E-Type was a great performer and, arguably, the best bang for the buck you could get from an established manufacturer at the time in terms of performance and finesse. The 4.2-liter E-Type featured independent coil spring rear suspension, power-assisted four-wheel disc brakes (the 911 didn’t even dream of power assists at the time), and an all-synchromesh four-speed gearbox that replaced the ’Moss box’ on older models with unsynchronized first gear. The interior of the 4.2-liter Series 1 E-Type was slightly more comfortable with larger, leather-wrapped bucket seats although the 2+2 model was still a while away. Nowadays, you need to pony up more than $200,000 to be able to get your hands on some of the first Series 1 E-Types to be fitted with the 4.2-liter inline-six that was introduced late in 1964 for the 1965 model year. 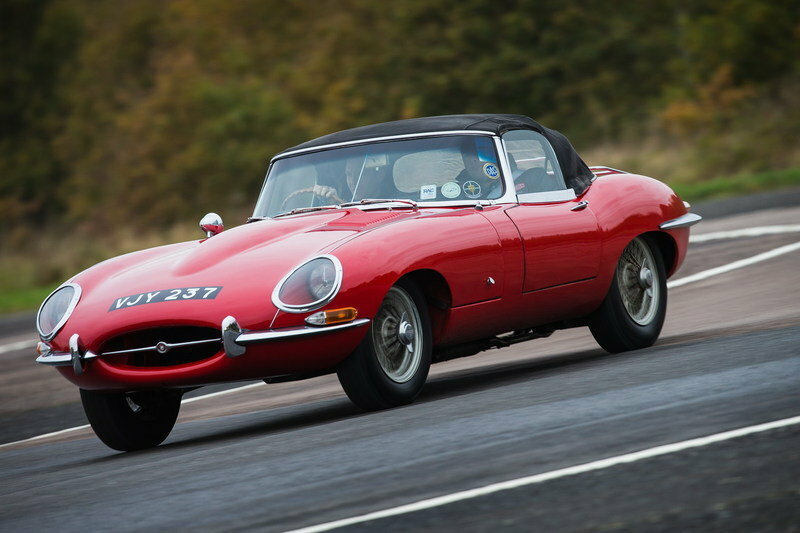 Read our full review on the 1961 - 1968 Jaguar E-Type. I’ve picked the Maserati Sebring over the 3500 GT because I reckon it is a notch below the 500GT and the Ferrari 250 GT 2+2 while also offering to seat for four people - somewhat - and a respectable amount of power. The Sebring was in production for seven years and was also known as the 3500GTiS. The Series 1 models were made between 1962 and 1965 and all wore the gracious body designed by Giovanni Michelotti at Vignale. The quad headlights in the front as seen on the Series 1 models may seem ungainly but the appearance deficits were fixed by the clean facelift that came with Series 2. In all, just 348 Series 1 Sebrings were built and they were all powered by the 3.5-liter Tipo AM101, naturally aspirated inline-six unit with Lucas fuel injection. It cranked out 220 horsepower at first, although it gained 12 horsepower by 1963. 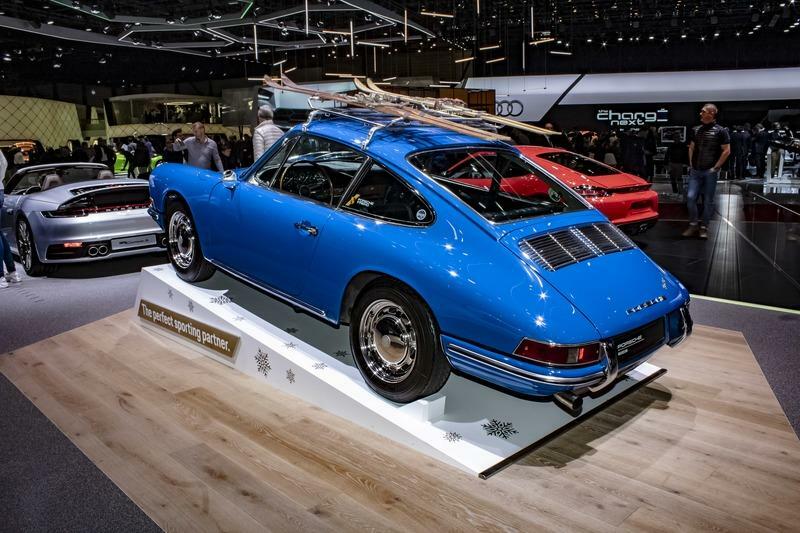 In spite of its bigger weight, mostly due to the use of heavier materials and due to the more luxurious interior with lots of wood and leather, the Sebring could outrun a 2.0-liter 911. To put things into perspective, the Sebring weighed 3,351 pounds dry while the 911 tipped the scales at just 2,292 pounds (almost 1,050 pounds less than a Porsche 992 Carrera). The Sebring reached 60 mph from a standing start 8.5 seconds on Pirelli Cinturato tires en-route to a top speed of 137 mph, just three mph quicker than a 911. 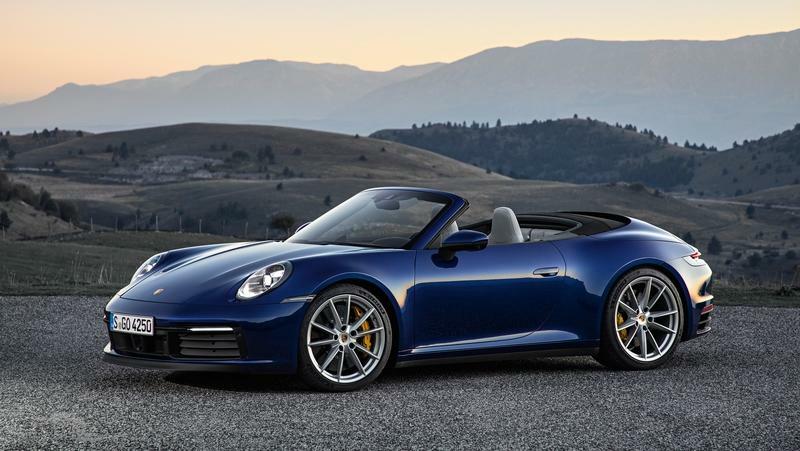 It’s safe to assume, though, that the 911 would outpace a Sebring on a twisty bit of road. Today, the Sebring isn’t as hard to find as you’d expect looking at the sub-1,000-unit production tally but you need to find anywhere between $170,000 and $300,000 to be able to call yourself the owner of such a car. 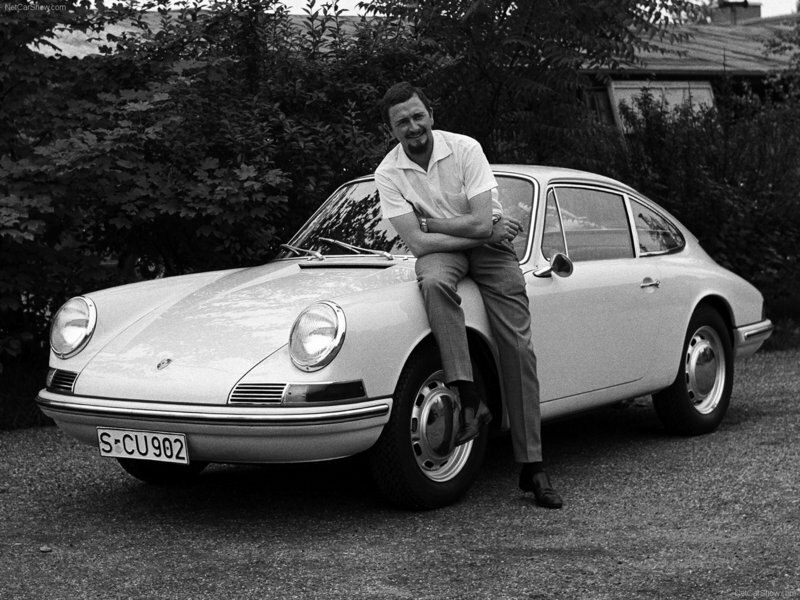 The Porsche 911 is an icon and it all started with the Typ 901 model unveiled in 1963. The 1965 cars are part of the first official model year and are, as such, considered to be some of the earliest 911s in existence. 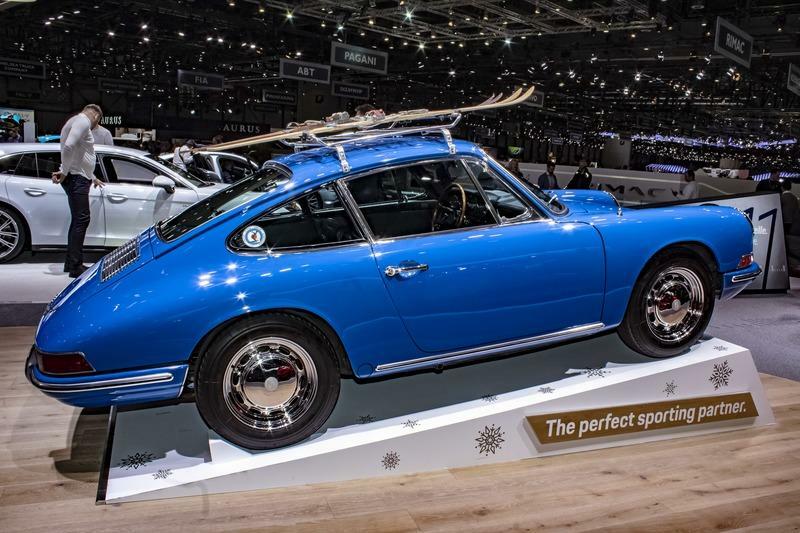 You and I both know that Porsche aficionados are mad about anything air-cooled and you can’t get anything more vintage in the 911 world than a mid-’60s example such as the one seen at the Geneva Auto Show. 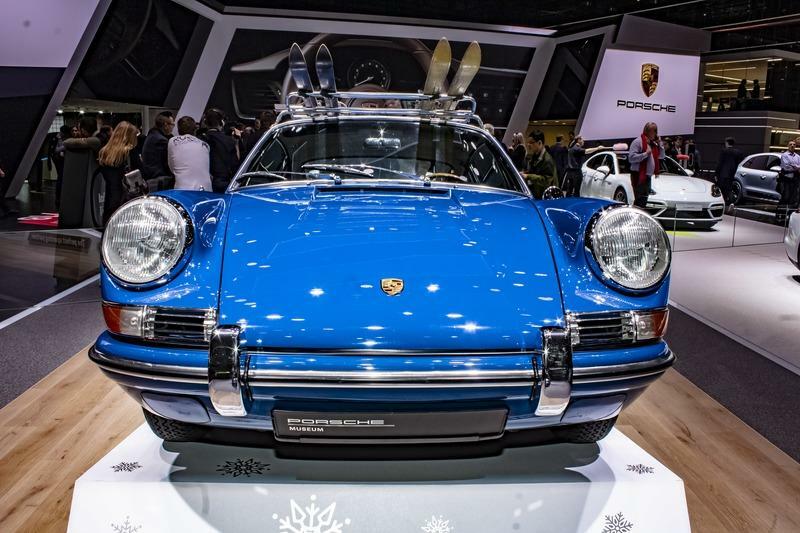 While some may not get why Porsche would bother to pull a 54-year-old car out of its museum to park next to its current lineup, the point becomes painfully obvious when you see this blue 911 perched up on a ramp in the vicinity of the 992 Cabriolet. When you see the size difference and how much more sedated the original looks (and how much more sedated it actually was), you begin to appreciate how much Porsche has come while staying true to its ethos and to its mythical design language that started then and there, in the ’60s.